This nondescript taco truck is located in the food cart pod on SW 3rd and Stark in downtown. 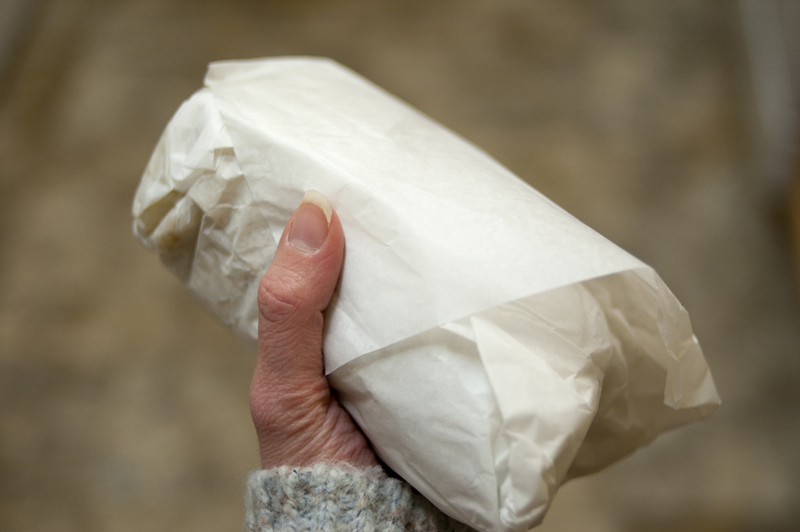 This particular burrito was brought to me, but I have been to the cart on occasion as well. With so many food options around, it's easy to pass up... but I wouldn't recommend doing something silly like that! This chubby little guy's just bursting with juicy porky flava, baby! There's no grease better than pig grease, I tell you what. The scrumptiously supple feathers of pork slowly melt away in my mouth like butter. Delicately delectable. The cool sour cream and tasty beans are the perfect side acts to their porky ring leader. There was iceberg on this guy, which is usually a bad thing, but in this case, it added a nice texture, without overkill. The same goes for the rice. Like an earthen base for the pig to stand on. There is always room for more pork though! It would be higher if it only had a liiiiiiiiiittle more pork. 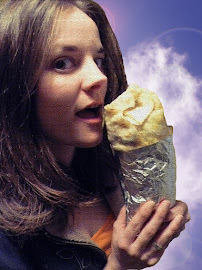 Located at 2137 E Burnside, I didn't get a chance to visit this establishment, as this was a burrito delivery! 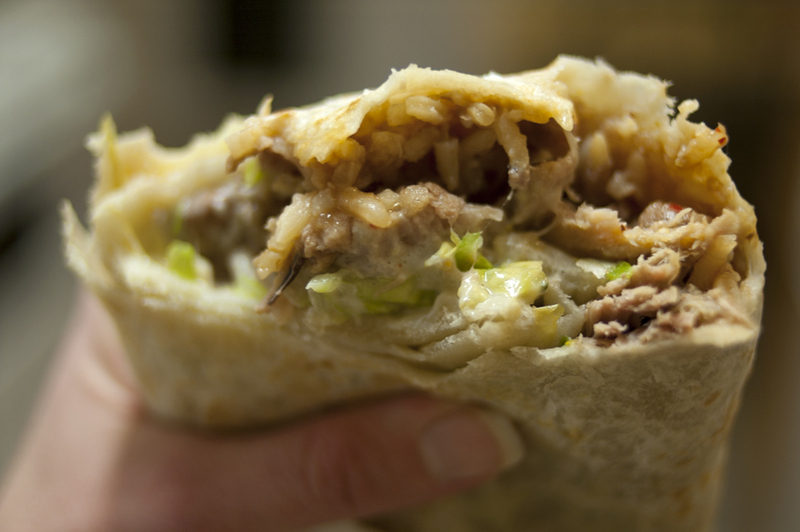 Nothing's nicer than having a burrito delivered right to your big fat gut (thanks honey!). 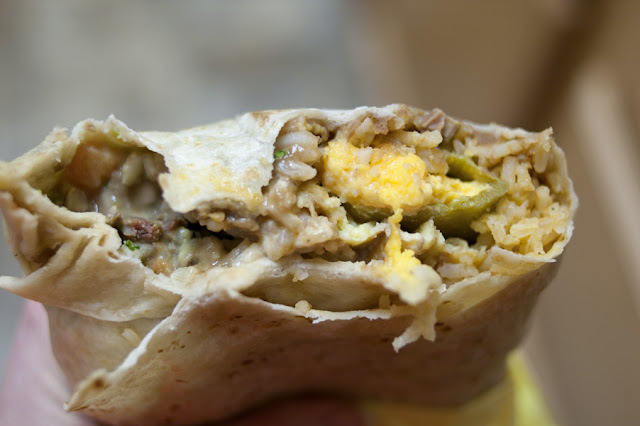 I decided to give another one of these chile relleno + steak burritos a go. 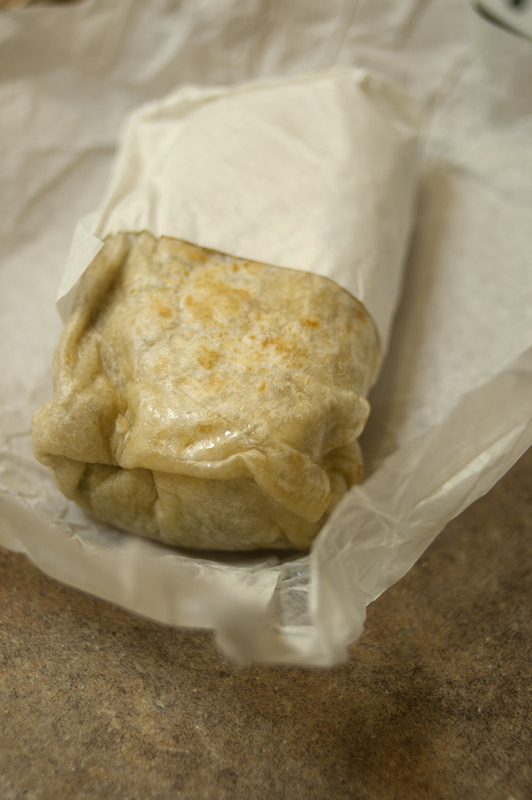 This one delivered an almost overwhelming mesh of texture, like eating two burritos wrapped in one skin. The steak wasn't very flavorful, yet had a nice amount of chew; not too tough, not too soft- like baby bear's porridge. The amount was lacking, however. The relleno was on the tough side, and the cheddar cheese had a spongy, springy, squeaky consistency. There wasn't too much rice, and the beans were delicious... but I wasn't dazzled. 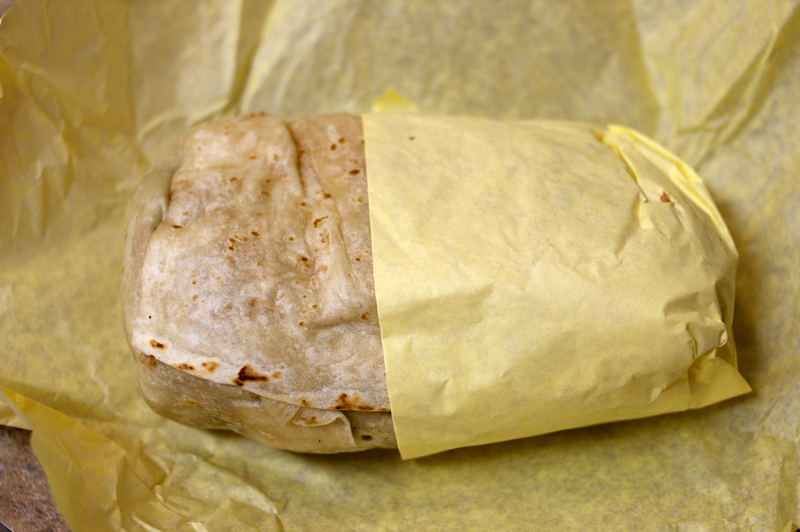 Just another standard burrito to forget about.